Rap artistes Wu-Tang Clan have announced an album completely separate from their long-in-the-works A Better Tomorrow is on the way. Think again if you think you can sit at home with the forthcoming Once Upon a Time in Shaolin, though, as the double album will be toured to museums and music festivals ahead of being sold for, according to the band, millions of dollars. An interview Forbes had the RZA explaining the project further, confirming that only one copy of the 128-minute, 31-song album has been pressed, and that copy has been given a most opulent treatment. Housed in a fancy silver box (see above), the album will be brought out around the world before ultimately being sold to whom we imagine is a totally fancy-pants kind of Killer Bee. "We're about to sell an album like nobody else sold it before," RZA said. "We're about to put out a piece of art like nobody else has done in the history of [modern] music. We're making a single-sale collector's item. This is like somebody having the scepter of an Egyptian king." The record has apparently been in the works since 1997, when the Wu-Tang connected with Tarik "Cilvaringz" Azzougarh, who acts as the main producer for the set. Few details have been delivered behind the LP, but Azzougarh supposedly got to work on the project while living in Marrakech. 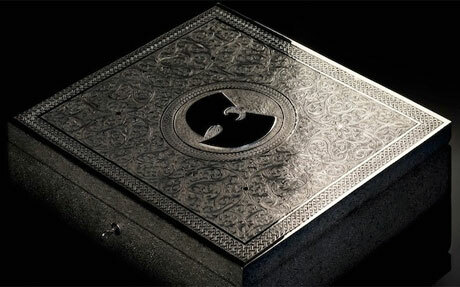 It's been suggested that the album features the whole Wu-Tang family, as well as Redman, footballers from FC Barcelona and Bonnie Jo Mason, a pseudonym of Cher's. RZA and Cilvaringz conceived the idea for the lavish pressing of one, apparently inspired by Jay Z snatching up 100 copies of rapper Nipsey Hussle's $100 Crenshaw mixtape. "I know it sounds crazy," Cilvaringz said of the move. "It might totally flop, and we might be completely ridiculed. But the essence and core of our ideas is to inspire creation and originality and debate, and save the music album from dying." It's unclear at present when the Wu-Tang Clan will bring Once Upon a Time in Shaolin out on tour, nor has A Better Tomorrow been affixed with a street date.